The precarious northern portal of the disused Sandsend railway tunnel collapsed earlier this year. Access is still possible via this end, just don't look up! I wanted to go and have another look at the tunnel, because it really is one of the most nicest disused railway tunnels around. And one day it will disappear into the sea along with the rest of the line. The history of the line is fairly easy to find, though there are one or two myths floating around. Kettleness and Sandsend tunnels are adjacent on the line. Seperated now by a section of very dodgy overgrown line halfway up the cliff face that you have to negotiate to reach the collapsed portal. 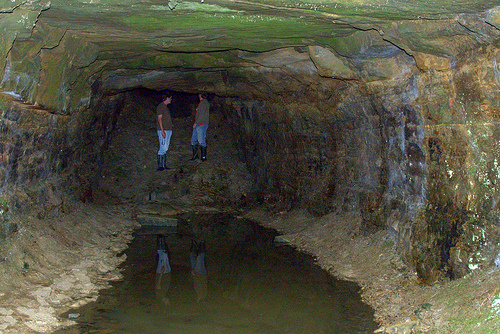 Both tunnels have secondary tunnels that go out to emerge on the cliff face. 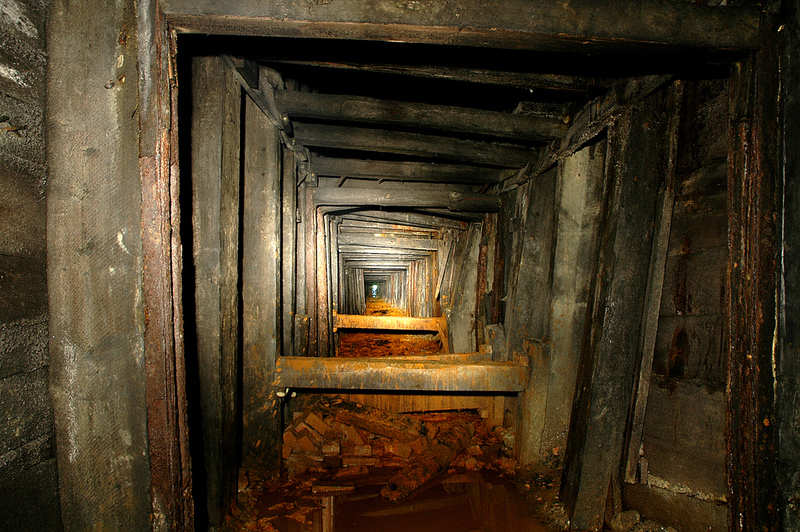 The myth is that these are escape tunnels, built in case of collapse. The truth is that they are drainage tunnels. 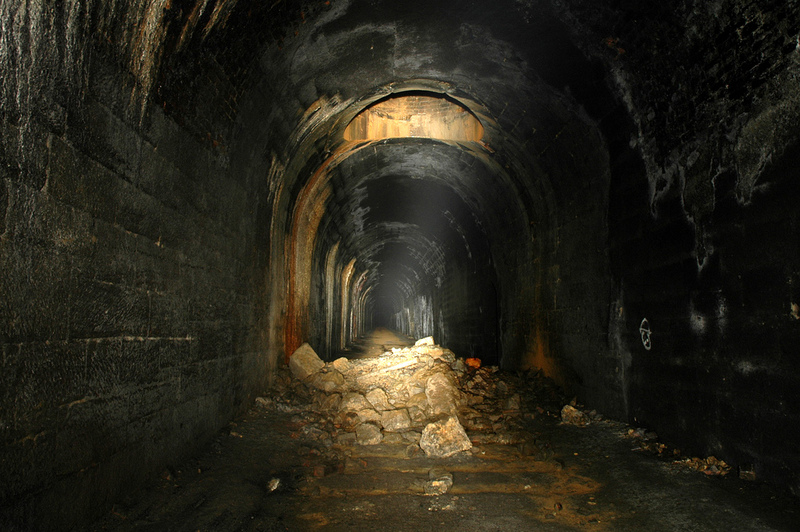 Several (11 I think) underground streams were intercepted during the construction of the Sandsend tunnel. Water is very much a feature of the place. Expect to get wet. There is a theory that the side tunnel at Kettleness was a jet mine that the tunnel construction intercepted. Who knows. Just inside the side tunnel entrance the roof has collapsed, but it's possible to get through, by crawling over what used to be the roof, and eventually reach the cliff face. Here, it looks more like a mine drift. There are indeed pieces of jet visible still in the roof, as these two explorers pointed out to me. 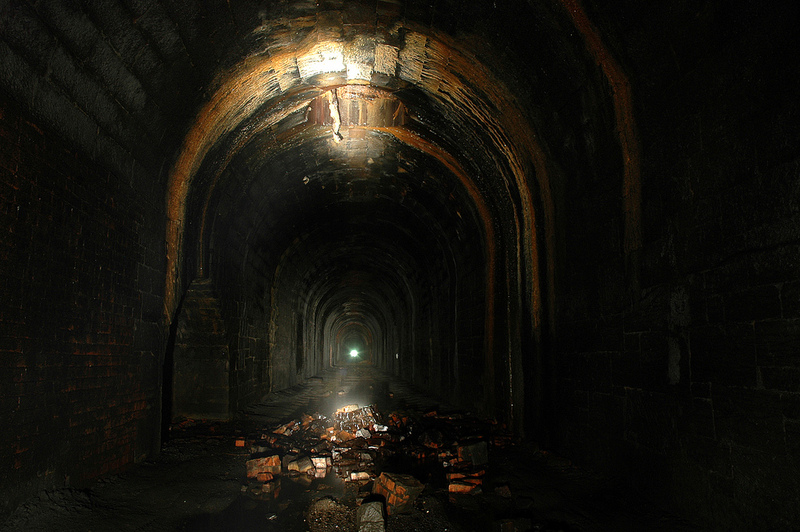 Sandsend tunnel has 5 (err, I think) airshafts, all of which have a large volume of water coming down them. And all of them have been collapsed from the surface. 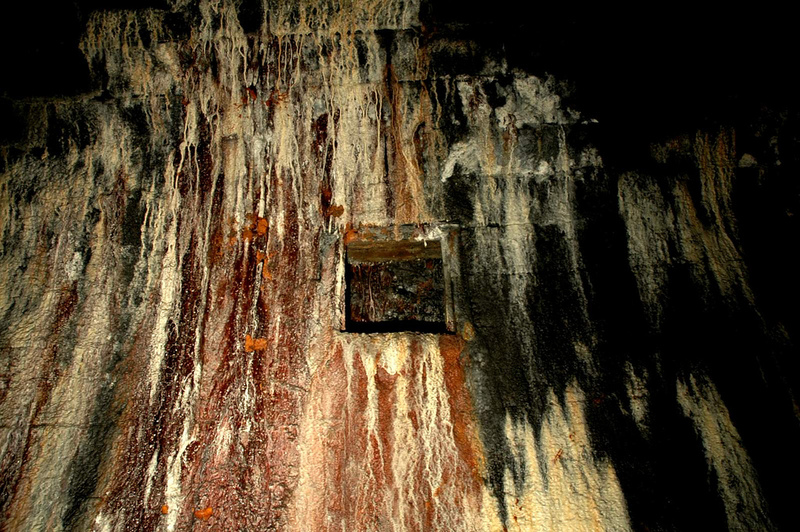 The inflow of water means that there is extensive calcification of the tunnel lining, rather like in a cave. We have no idea what this small hole was for. Maybe to allow water to flow out from behind the tunnel lining. Some twats have been throwing mud at the calcification. 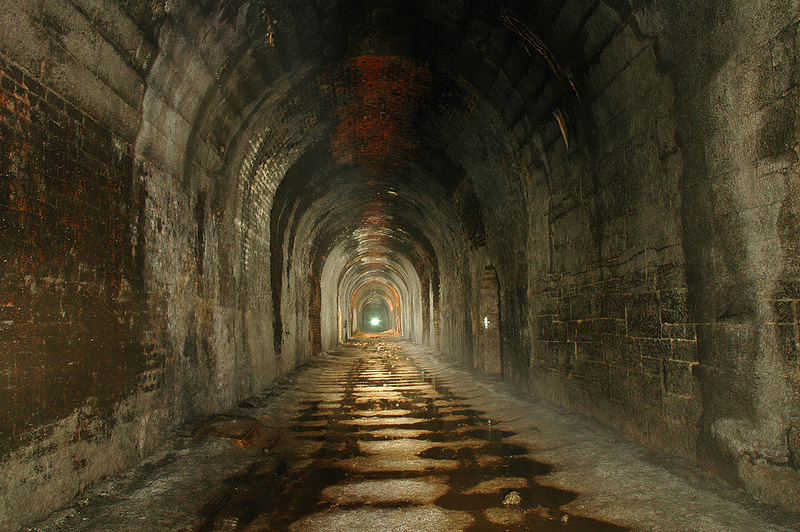 The tunnel is around a mile long, and often filled with thick mist. This time it was clear so could get a longish shot towards the southern portal.